Working with a Real Estate Agent | Joe Hayden Real Estate Team - Your Real Estate Experts! Why Should You Consider a Real Estate Agent? If you are buying or selling a home, chances are you will come into contact with a real estate agent at some point in the process. What are the benefits of working with a real estate agent and should you give it consideration? Ultimately, this is a very personal decision and one that you should give serious consideration to because of the potential benefits. Consider the following points and compare them to your personal situation. ◊ Most consumers buy or sell less than 5 homes in their lifetime. A real estate can work with that many homes in one month. ◊ Many home buyers and sellers do not have training in negotiations and contract management. Typically, real estate agents will have been through training and have extensive experience with contract negotiations. ◊ The real estate market is very dynamic and what worked three years ago may not be possible now. An active real estate agent will keep abreast of the market and understand how the changes affect buyers and sellers today. ◊ Most people do not have the time to deal with all of the aspects associated with buying or selling a home. A compentent real estate agent will not only have the time, but have systems in place to make the process efficient. When you think about your personal situation given the above points, do you think that you may benefit from the experience and knowledge of a real estate agent? If so, you should research several options and begin interviewing agents to see if one would be the right fit for you. What Traits Should You Look for in a Real Estate Agent? When searching for a real estate agent to fit your needs, it is best to set reasonable expectations for yourself and the agent. Never forget this advice - You are ultimately responsible for your decisions and for ensuring that any home that you purchase is in a satisfactory condition for you. Do not give your decision-making ability to your real estate agent, nor allow them to be the final word on the condition of the home that you wish to purchase. This advice should be the foundation of your expectations. You are not looking for someone who is going to try to make decisions for you or pressure you to make uncomfortable decisions. So, what traits should you then look for and what expectations should you set when choosing a real estate agent? Very simply - experience, expertise, education, availability, honesty, good communication skills and a strong desire to help you. You should expect that your agent will work in your best interests and put your needs first in all real estate endeavors. You should expect that your agent will be honest, forthright, wise, reasonable and communicate effectively and frequently with you. You should expect that your agent will work hard to learn about your specific wants and needs, and will tailor their services to meet those needs in an effective and timely manner. You should expect to not feel pressured or coerced into making decisions that are not right for your needs. How Can You Effectively Work with a Real Estate Agent? The best way that I have found to work with clients is to start with a comprehensive interview that works both ways. The client is interviewing me to see if I am going to fit their needs and I am interviewing the client to discover their needs and make certain that I can meet them. In addition, I am going to state and set my expectations and give the client the opportunity to state and set theirs. This is the foundation of effective communication and if it is done well, it will be a major step towards the client being completely satisfied, with all of their needs met, at the completion of the transaction. Take the time in the beginning of your relationship with an agent to go through this process as formally as you are able. You are about to spend a significant amount of money and you are looking for effective, professional help. Lay a solid foundation based upon open communications and establish expectations early to best work together. Obviously, this is just the beginning of the process of establishing an effective working relationship with a real estate agent. Like all good relationships it should improve over time as trust builds and your agent proves themselves valuable and competent. If that does not happen, consider making a change to ensures that your needs are adequately met. Making the decision to work with a real estate agent should be to your benefit and help make the process of buying or selling a home smooth, positive and enjoyable. Keep in mind your responsibilities and do not compromise your ability to make good decisions for yourself, and you will be on your way to effectively working with a real estate agent! 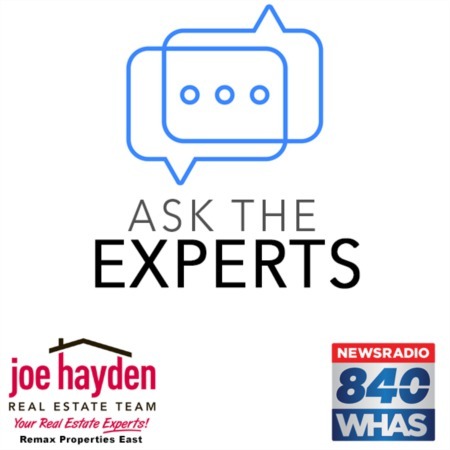 About the Author - Joe Hayden is the team owner and manager of the Joe Hayden Real Estate Team, among the top real estate agents in the Greater Louisville Area.